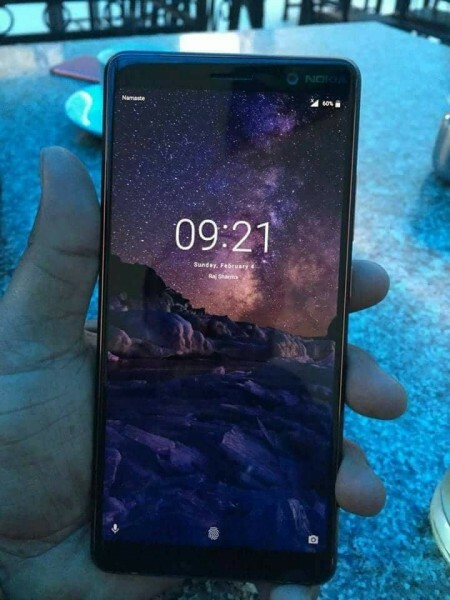 Live Image of 'Nokia 7 Plus' Makes Way To The Internet - AndroGuider | One Stop For The Techy You! Last week, reputed tipster Evan Blass leaked the renders for Nokia 7 Plus and now the same device's live image has made its way in. 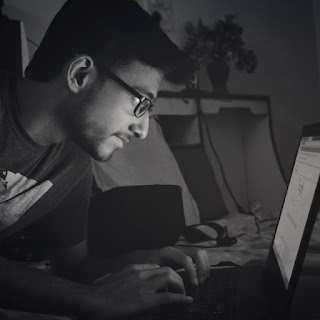 The main highlight in Blass' render (refer to the image above) was the Android One branding at the back of the device which indicates the collaboration of HMD and Google. The render also shows a full screen display, dual camera setup at the back and the fingerprint scanner beneath it. HMD Global is gearing up for the release of it's first 18:9 screen ratio phone dubbed 'Nokia 7 Plus' and that is making everyone excited not only for the design, but the bold color language it is following. The live image below shows how thin the top and the bottom bezels are leaving no room for hardware navigation keys. Like other 18:9 smartphones, the Nokia 7 Plus will have software navigation keys. Nokia 7 Plus is expected to release at Mobile World Congress 2018 and is rumored to have Snapdragon 660 chipset on board along with 4GB of RAM. HMD has been doing a very good job of keeping it's devices up-to-date with monthly security patches and major Android updates. A partnership with Google via Android One will only propel the pace of software updates further.